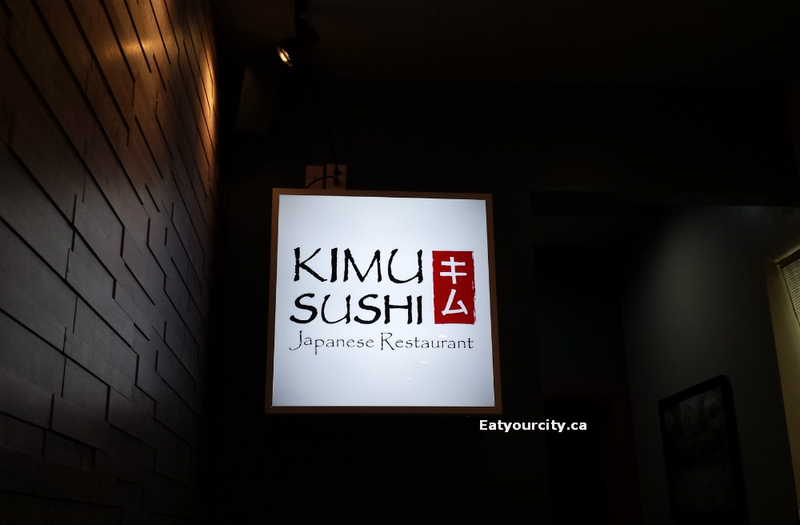 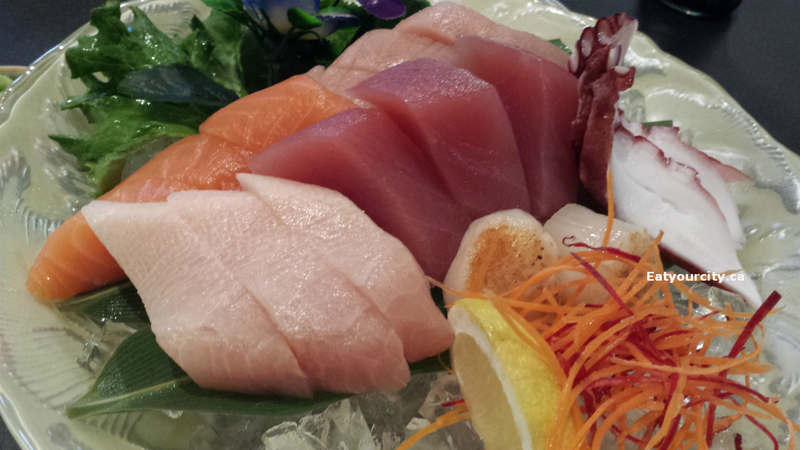 Eat Your City: Sushi Kimu Calgary, AB - tasty sushi rolls and generous servings! We started with a bowl of Agedashi Tofu - fried piping hot, the exterior was crisp and interior remained silky smooth. 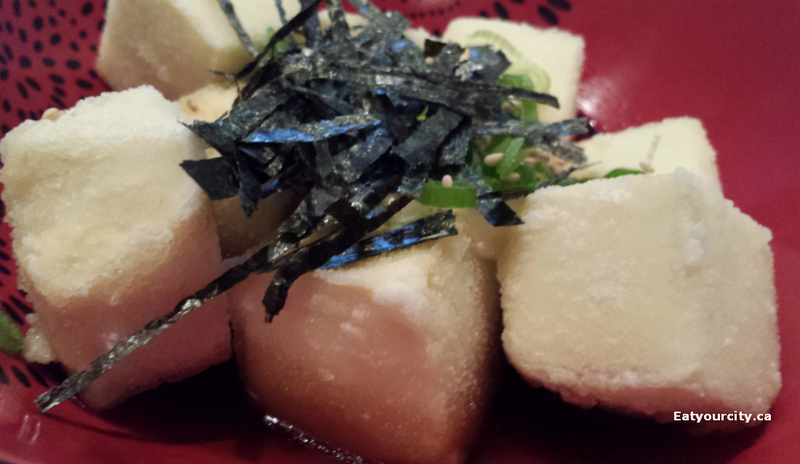 The pozu soya sauce could have used a bit more lemon, but tasty none the less. 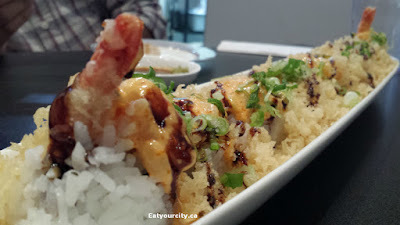 We then had the was the Veracruz roll - Chopped scallop, masago, green onion, cucumber, crab meat and prawn tempura topped with spicy mayo and unagi tonkatsu sauce. 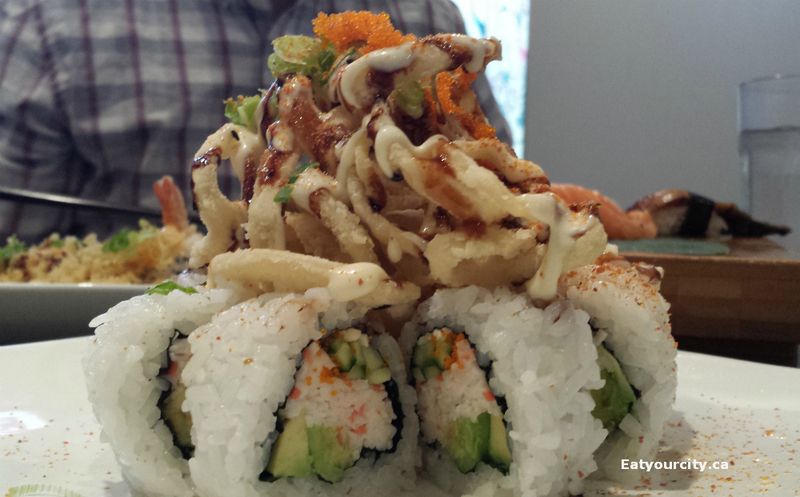 There was a bit too much sauce, but the crispy shrimp tempura still stood out. The Salmon, Tuna and Unagi sushi nigiri were well executed with well seasoned rice and fresh seafood - and disappeared in a flash. 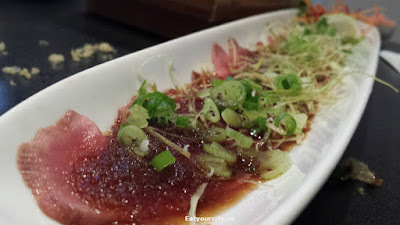 The Beef Sashimi - Thin slices of lightly seared alberta beef served with garlic chips, green onions and ponzu sauce, while lightly seared, could have either used a thinner cut or a more tender cut of beef. Spider roll - Deep fried soft shell crab with cucumber, avocado and masago with sweet sauce came out next and the soft shell crab was nicely fried with a good crunch. 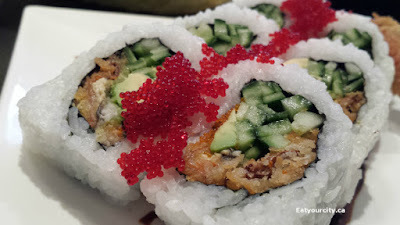 We finished our meail with the Calgary special roll - Avocado, cucumber, crab, masago wrapped with deep fried marinated squid, green onions, masago and sichime (Japanese spices) topped with our steak and mayonnaise sauce. 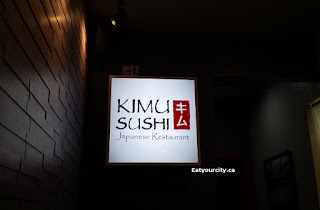 It sounds like a mouthful - and it is! 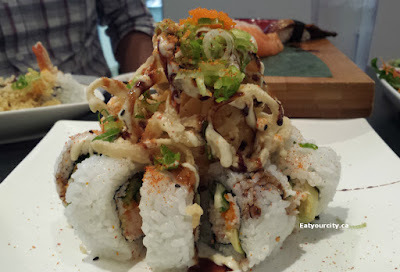 Its basically a california roll with calmari on top -the multiple flavors and textures worked well together without overpowering one another. Overall, a great little place for sushi rolls with generous portion sizes for the price. 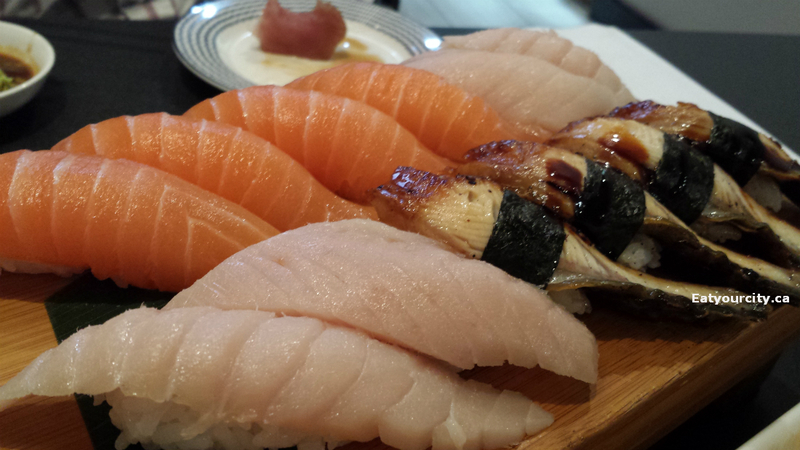 We ended up packing up food for an afternoon snack later.